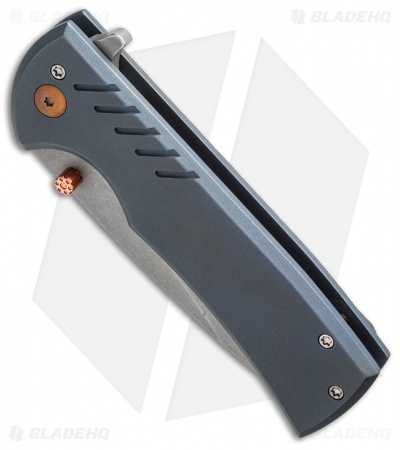 The Veloz knife is an exciting collaboration between Chaves Knives and the guys at Ferrum Forge (FFKW). 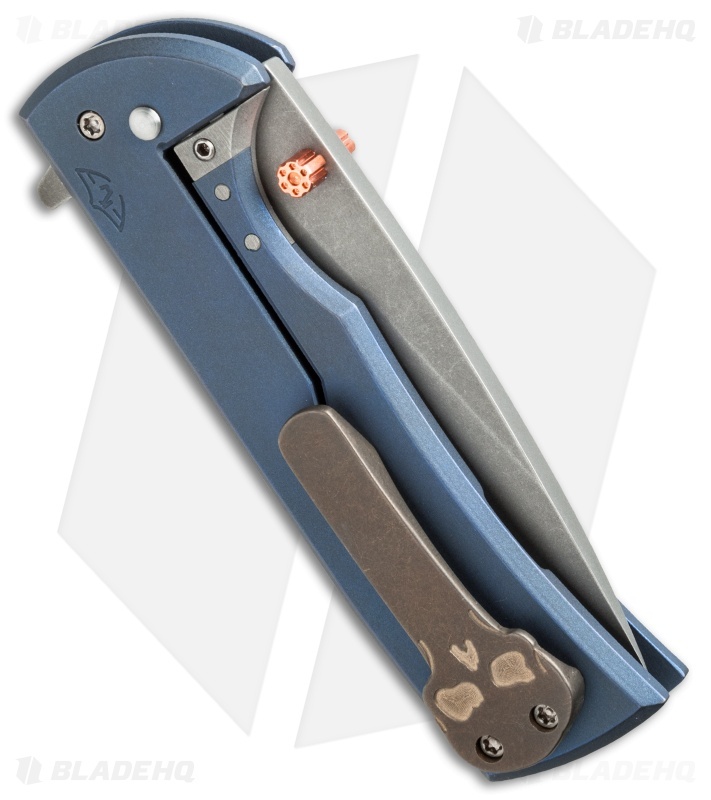 Based on the 228 folder, the Veloz flipper is a limited run of just 200 knives, available in four different milled handle styles: plain, channel, dots, and slide. Each knife features the Chaves Skull pocket clip and copper barrel thumb studs! 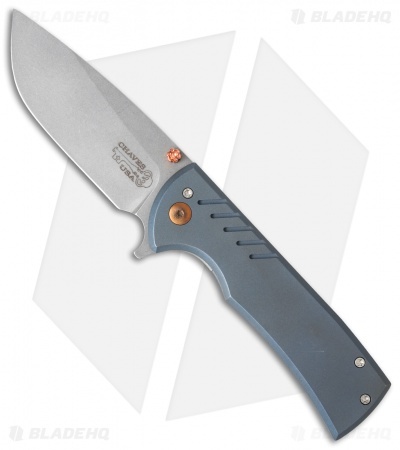 All the usual refinements offered in the Ferrum Forge lineup are present, including a steel lock insert/stop, Hoback Rolling Detent (HRD) and ceramic bearings. The FFKW Chaves designed Veloz is an amazing knife. This listing is for the Veloz knife with a slide pattern blue anodized milled handle.